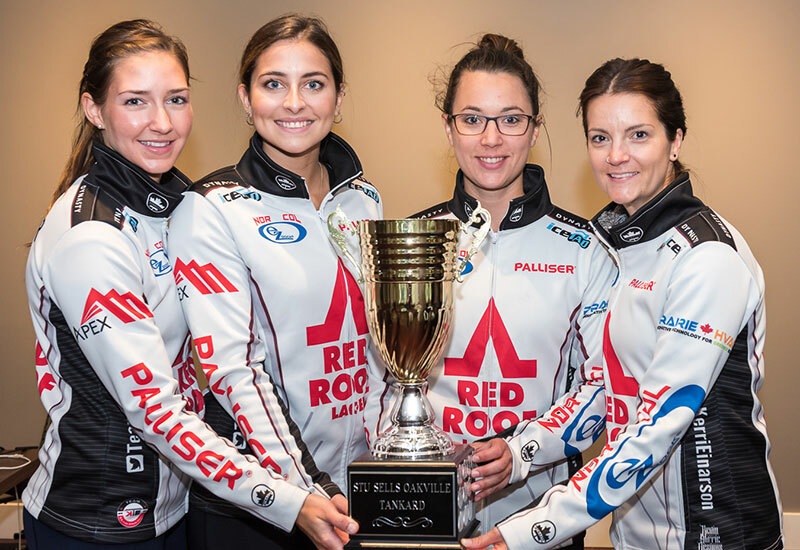 Kerri Einarson (Winnipeg, Manitoba) wins the Stu Sells Oakville Tankard, defeating Silvana Tirinzoni (Aarau, SUI) 6-0 at the Oakville Curling Club in Oakville, Canada. Einarson takes home the $7,500CDN first prize along with 54.027 world ranking points while Tirinzoni receives $4,000 CDN and 39.620 world ranking points for their second place finish. In a game that was all Einarson, she opened the scoring by stealing 1 in the first end. After a blank end, Einarson stole the third end, and then stole 2 more in the fourth end, and 2 more in the fifth end for the 6-0 win. In the semifinals, Einarson defeated Suzanne Birt (Charlottetown, PEI) 8-1 and Tirinzoni defeated Isabella Wrana (Stockholm, Sweden) 6-5. In the quarterfinals, Einarson defeated Jacqueline Harrison (Toronto, Ontario) 7-6, Tirinzoni defeated Julie Tippin (Woodstock, Ontario) 6-1, while Birt defeated Sayaka Yoshimura (Sapporo, Japan) 6-5 and Wrana defeated Katelyn Wasylkiw (Unionville, Ontario) 6-4.